1 3/4in Charles Edward Stuart "Bonnie Prince Charlie" brass coin 1/8" thick, struck in high relief. Full color painted design on the back. 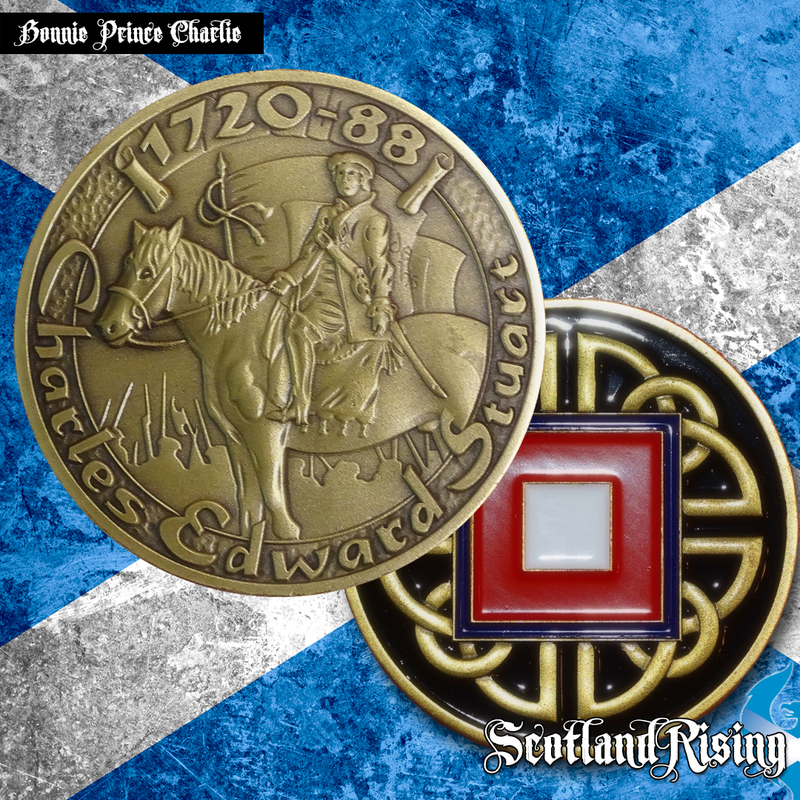 This coin commemorates the leader on the Jacobite uprising who claimed the throne of England and Scotland. 1745-46 The Jacobites raised an army and fought the British. The short lived rebellion ended at the battle of Culloden where the Duke of Cumberland defeated the Jacobites. Prince Charlie escaped and lived out the rest of his life in France and Italy until his death on 1788.